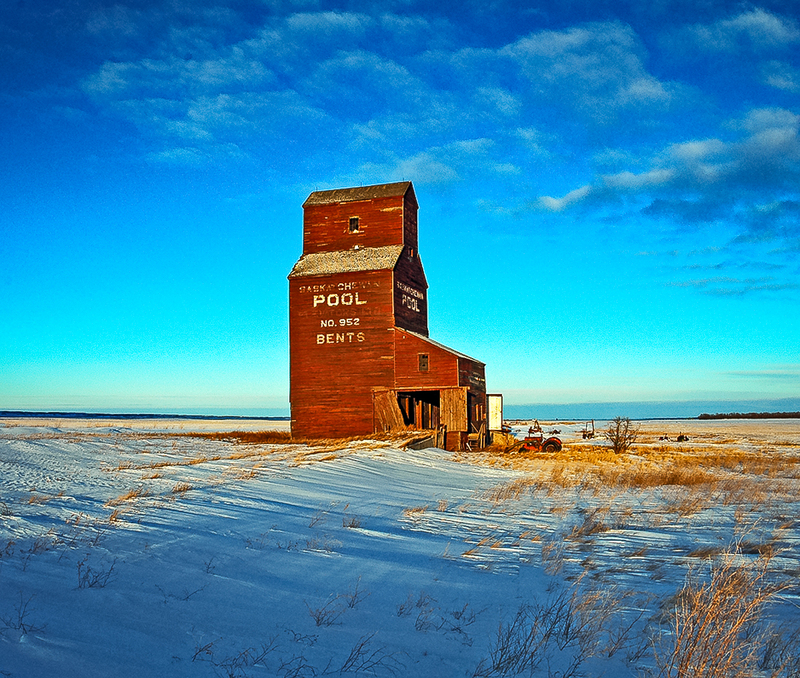 The grain elevator in Bents, SK, Jan 2007. Copyright by Gary Rich. Bents is a well known ghost town in western Saskatchewan, southwest of Saskatoon. The town is home to Saskatchewan Wheat Pool elevator #952, built in 1928 and closed around 1977. BigDOER wrote a substantial article on the town.